A peaceful location with stunning views across a Cotswold valley. 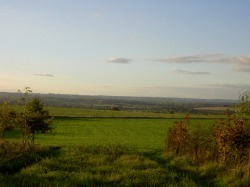 The views are best seen from the Wildflower Meadow. The small Woodland, planted in 2000, has quickly grown into a tranquil resting place.